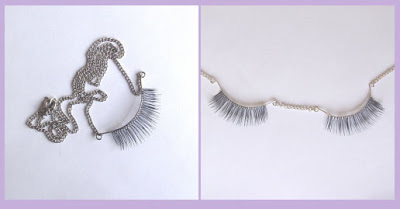 There is something delightful about stephani simek’s eyelash necklaces. Coy and creepy at the same time. These necklaces are made out of sterling silver and REAL HUMAN HAIR. Now I don’t know where that hair comes from or if in the future you will be able to order in “red head” color. I’d love to see this unusual necklace in person. I’d like to see if the hair is trimmed, or if Stephanie has a collection her own fallen eyelashes. Mostly, I just want to feel how soft the hair is! You can’t order online right now ordering right now, but you can contact Stephanie through her website and also though the WHAT designers shop when the site finally launches.